Do Awards Boost Anything Except Egos? Hi all! Today is my monthly blogging day for my publisher, Midnight Ink. I’m writing about my series, winning the Maxwell Award for Fiction, and why I think the two things together may save lives. Check it out at http://midnightwriters.blogspot.com/2015/02/do-awards-boost-anything-except-egos.html. I’ll be back here next week with a new yoga article! This entry was posted in dogs, Downward Dog Mysteries, writing and tagged Cozy, cozy mysteries, cozy mystery, dog mystery, downward dog mysteries, gratitude, maxwell award, Murder Strikes a Pose, Tracy Weber, yoga mystery on February 23, 2015 by Tracy Weber. I haven’t written much about yoga research lately, mainly because I’ve been heads-down in the book launch events for my second novel. But recently I stumbled across a fact sheet from the National Center for Complementary and Integrative Health that was too good not to pass on. The benefits of yoga for arthritis are equivocal. (Some studies find it helpful, some do not.) Future research is ongoing to see if yoga has different benefits for patients with rheumatoid arthritis versus osteoarthritis. Scientists are also trying to decide if yoga practice may be more helpful for some joints than others. This sentence, taken directly from the article, almost made my heart sing: “Everyone’s body is different, and yoga postures should be modified based on individual abilities.” This is, of course, the hallmark of Viniyoga. How could I not agree? Future studies are planned to determine yoga’s effects on a variety of other health conditions, including immune function, diabetes risk, PTSD, and HIV. I can’t wait to see the results! If you’re at all interested in learning more about yoga, particularly its therapeutic effects, I highly recommend you check out this article. Lots of great information packed into eight very readable pages. Let me know what you think! This entry was posted in Asana, Breath, Therapeutic Yoga, Viniyoga, Yoga Research and tagged breath, hatha yoga, insomnia and yoga, viniyoga, yoga research, yoga therapy on February 16, 2015 by Tracy Weber. Please welcome today’s guest , Tess Jones. Tess is a yoga teacher, freelance writer, and mother of two. Thanks for joining us, Tess! Meditation is a great tool to use during the physical and mental challenges of childbirth. Slowing your breath and focusing on a meditation can calm your mind and allow your body to let the contractions come. There are many types of meditations. Some guide you to clear your mind and focus on your breath, while others have you focus on a word, phrase, image, or object. Some ask you to sit or lay still, while others may guide you to move your hands or your body. Use what works for you, trying different things until you find something you connect with that brings you to a place of peace, calm, and grounding in your body. Once you have a few that you like, practice your meditations in the months leading up to your birth so that you feel familiar with them and can recall them quickly. Teach them to your birth partner or doula, since during labor you may not remember to try them. Find a comfortable seat, or lay on your side. Use pillows to prop yourself until comfortable. Take two full minutes to relax. Breathe naturally and evenly. Place one hand on your heart and the other on your belly. Slightly tuck your chin. Fill your heart and your belly with breath on your inhales feeling them rise, and feel them fall on your exhales. Let go of any thoughts that you are holding onto. Feel a sense of inner strength, grounding down, and ultimate peace filling your body. Clear your mind as you calm your body. If you’re looking for more meditations to try, there are two free downloadable audio meditations on my website circleheartbooks.com. These audio files can be added to your iphone and listened to for a quick calm-down moment during your day. I also have several other meditations in my book Yoga for Birth. Yoga for Birth is available on Amazon.com. It features prenatal poses, meditations, affirmations, philosophy, and more for pregnant mothers and their birth partners. The book was photographed and independently produced in the greater Seattle area. Tess Jones is a freelance writer and mother of two who has practiced yoga since 2002. 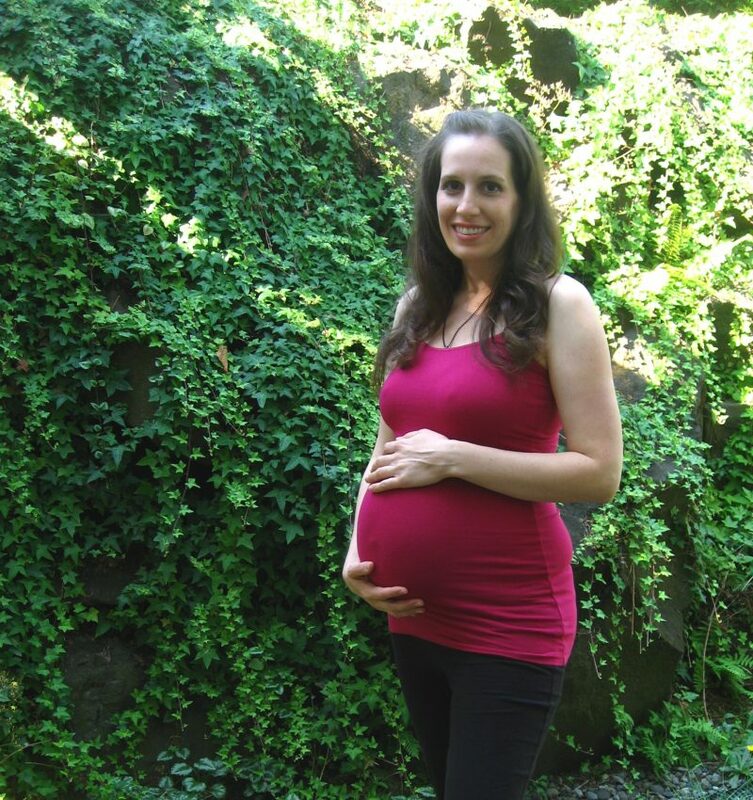 She has studied hatha, vinyasa, prenatal, and postnatal yoga teaching. Her yoga focuses on mindful movement, self-awareness, and discovering the peaceful, grounded strength within ourselves. Her books and yoga-related articles can be found on her website circleheartyoga.com. Come visit Whole Life Yoga in Seattle, and check out Tracy Weber’s author page for information about the Downward Dog Mysteries series. The second book in the series, A Killer Retreat, is available at booksellers everywhere! This entry was posted in Guest Writers, Meditation, Prenatal Yoga, Yoga Books and tagged meditation, prenatal yoga on February 9, 2015 by Tracy Weber. Sixteen months ago, I led a retreat at the Grunewald Guild in Leavenworth, Washington. That wonderful weekend was the beginning of the journey that I started with twenty-nine other yogis. Ten days ago, I let a retreat at Jim Creek Recreation Area in Arlington, Washington. That weekend completed the journey. I thought I knew what I was getting myself into. You see, each of those yogis was a graduate of my two hundred-hour yoga teacher training program. Two of them started with me in my very first class in 2003. Three of them—the assistants—had already taken advanced teacher training with me before. Ten of the participants either were or had been my employees. Even the “newbies” had studied with me for at least a year. So I should have known them, right? And I did, individually. But somehow when we came together as a group, something wonderful happened. This collection of kind, caring, honest, and intelligent people formed a community. A group that held together through automobile crashes, health scares, surgeries, breakups, job losses, and raising teenagers. A group that bonded and trusted and leaned on each other for help. We had a few arguments (but shockingly few, honestly), and we got off track hundreds of times. We even had to cut some material. But I can honestly say that I don’t think I’ve ever taught a group that so truly got yoga at its essence. Connection. To my newest graduates: Saying goodbye at the end of our final weekend together was one of the hardest things I’ve ever done. I told you that I needed another year to teach you everything you needed to know. That was a lie. In reality, you are already wiser than I will ever be. You already understand what’s most important. Then again, you always did. It was I who needed another year with you and your loving energy. I miss you already. So today, in this blog, I sing to you the chant we sang at the beginning of each class—in English this time—and share it with my yoga friends reading this blog. We have come together as student and teacher to share this time of learning. Let us have energy and awareness to fulfill this task. Let us be protected, and nourished, and cherish our time together. I did, indeed, cherish our time together. I hope our paths continue to cross over and over and over again. This entry was posted in Gratitude, Teacher Training, Viniyoga on February 2, 2015 by Tracy Weber.